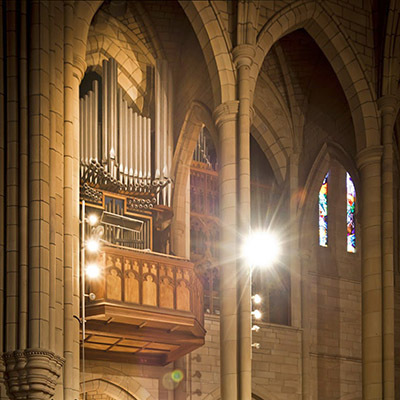 Music plays an important role in the life of St John’s Cathedral. There are five choirs, who lead us in worship each Sunday of the year (except in January), and at additional services during the week. To download this month’s music list, please click here. At the centre of our music programme is the Cathedral Choir, which sings at most of our choral services. 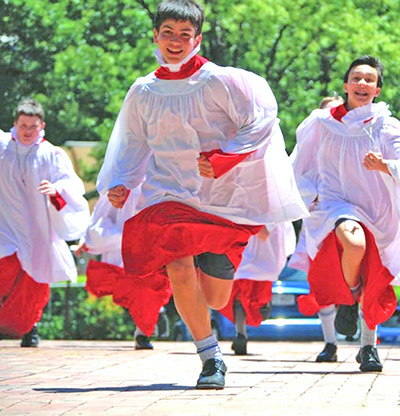 The treble line is formed of boy choristers, who receive a half scholarship to the Anglican Church Grammar School (‘Churchie’), and benefit from a musical training that is second to none (more information about these chorister scholarships can be found here). The lower parts are sung by adult Lay Clerks, a group of singers who hold a variety of occupations: professional musicians, students, teachers, lawyers and many more. From time to time, vacancies for Lay Clerkships and (adult) choral scholarships arise, and will be advertised on this website and on the Cathedral’s Facebook page. The Cathedral Singers are a voluntary, mixed-voice choir who mainly sing at Evensong, in alternation with the Cathedral Choir. They also sing for occasional special services and concerts. Rehearsals take place on alternate Sunday afternoons, before Evensong. The Cathedral’s newly-formed Girls’ Choir offers girls aged 9 to 14 the opportunity to develop their musicianship amongst a group of like-minded peers. They share in the musical and liturgical life of the Cathedral, singing a number of services on their own, with the Cathedral Singers, and with the Lay Clerks of the Cathedral Choir. For more information, please click here. The Cathedral Chamber Choir, also known more widely in the community as the Brisbane Chamber Choir, is an auditioned ensemble of up to twenty singers. They sing occasional services at the Cathedral, and present a number of exciting concerts throughout the year. For more information about their schedule at the Cathedral and beyond, please visit their website. The Johannine Voices, directed by the Cathedral’s Assistant Director of Music Andrej Kouznetsov, are a small group of about eight singers whose repertoire comprises a variety of musical styles, with a particular emphasis on Renaissance polyphony. They sing at the Liturgy of Tenebrae in Holy Week, at Mass for a number of feast days during the week, and other services. On the first Thursday of every month, our free morning concert at 11.00am delivers music to stimulate many tastes. Whether strings or woodwind, voice, piano or percussion, the performances from Queensland Conservatorium and The University of Queensland are always immersive and transformative. The busy city streetscape outside may as well be in another world. Our Cathedral also plays host to many evening events – concerts, recitals and performances across a range of musical genres – featuring a range of artists and ensembles, local and international. 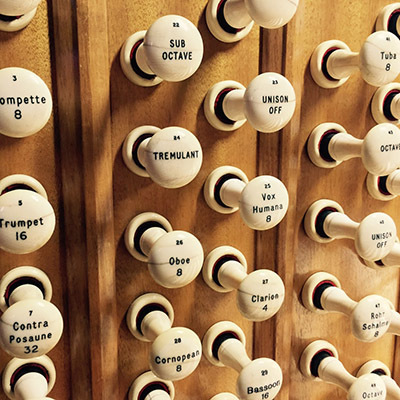 The Cathedral also hosts a series of organ recitals throughout the year, featuring international organists, and our own Cathedral organist in the Twilight International Organ Series. News of concert events appears in the monthly CCN (Cathedral Community News) and on our LED sign on the Ann Street footpath, as well as on the homepage of this website. Between 1906 and 1910 the distinguished UK firm Norman and Beard was engaged to build the Cathedral organ. This (initially, 50-stop) instrument was to be accommodated in a much larger chamber designed by John Pearson, the son of the Cathedral’s late architect. Financial constraints at the time, as well as the ongoing evolution of the Cathedral’s construction during its first two stages, meant that compromises, both musical and architectural, had to be made. Without the support of many private donors, the full majesty of the organ would not have been realised – indeed, it was not properly realised until its major rebuild during the 1970s under then-Director of Music Robert Boughen. Today, beneath our soaring vaulted ceilings, the immense soundscape of our Cathedral organ may be experienced to truly spine-tingling effect. Choral music by contemporary composers is regularly showcased at St John’s Cathedral, and both the Cathedral Choir and the Cathedral Chamber Choir have commissioned and premiered liturgical works by some of Australia’s leading composers. The Brisbane Contemporary Church Music Festival (BCCMF) is an established feature of our musical calendar, held over two weekends each August. It features a colourful array of performers and performances. Standalone concerts are deftly interwoven with special choral and musical accents to regular services, showcasing the best of contemporary choral and organ music for the liturgy. Watch for updates in the monthly CCN (Cathedral Community News), as well as on our Ann Street signage and this website. You can also find out more in our regular Service Notes and on our Facebook and other social media feeds. 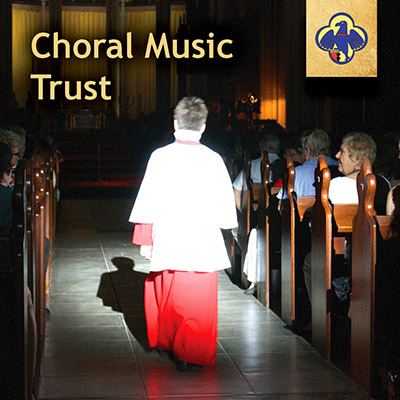 St John’s Cathedral has a Choral Music Trust account which was established to build a fund to support the considerable annual costs of Choral Music at the Cathedral. Do you enjoy the music our choirs share within the liturgies? Our Choral Music Trust invites you to consider a donation to the Trust on a one-off or regular basis. Maybe you might like to contribute to the Trust to support one of the singers? If you would like to explore the possibilities, please email Cathedral Warden Dr Helen Lancaster. Donations of $2 or more to the Choral Music Trust are tax-deductible.